If you are a pr client, then take notes, this can help you get press releases published. If you are a small pr agency, make sure you know these tips. It seems when pr clients have press releases they feel the “world” wants to know all about it and cannot understand why it hasn’t been published. To get press releases published, you should first start in your own local backyard. This means contact your local media. Local newspapers, radio shows, TV reporters, and even online eMagazines. When you do this, it will help build your company name among the media. Even local papers, and other local media get the attention of national press. So start in this manner and then follow these steps. I need to mention that you or your pr client must have a web site. Why? In today’s fast moving world, a company’s web sites are a source for media, reporters to verify information, or to collect additional information about a company. After the press release is professionally written, now where do you submit it? Begin with the local media– newspapers, magazines in your area. Then use the online sources. Some of these are: PRWeb.com. This site allows free distribution of releases. Another Free online site is Free-Press-Release.com. Many other excellent online sources exist. 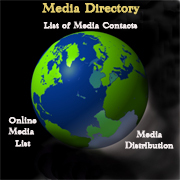 But start small and build your own media list that is specific to your industry. Remember to post these press releases on your pr client’s web site. Having a “newsroom” is what reporters; editors look for when visiting a company site. If you need more help or tips for press release distribution, call us at CarsonPR. We can get you noticed!